Finnish Lapland is filled with one “pinch-me-now-moment” after the next. I’m not talking about the kind of moments that linger in your mind for a while only to fade into a larger collection of travel experiences. No, I mean moments which combine surreal, grateful, and mind-blowing into never to be forgotten memories. 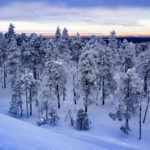 Simply put, Finnish Lapland is an awesome place to visit! As with any trip, though, you want all the logistics to run smoothly. But, this is particularly the case when your trip is only 7-10 days. “Things” happen and you have to be flexible and manage. 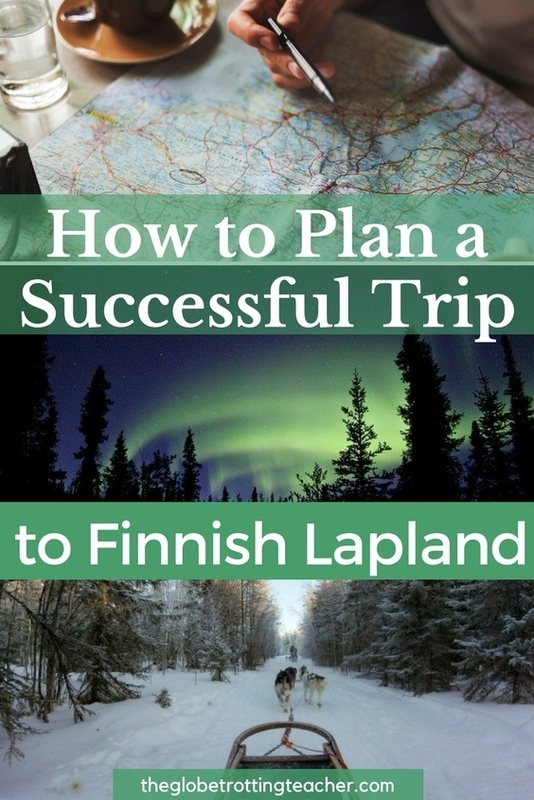 Even still, the details of how to plan a successful trip to Finnish Lapland are important. 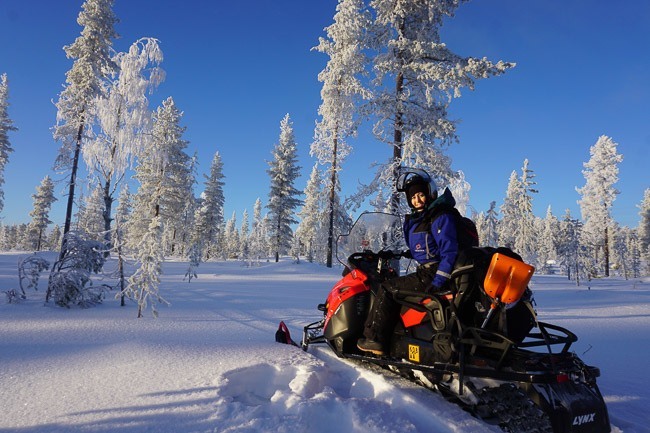 I’ve put together this guide in the hopes of giving answers to all the questions I had in order to save you time and money as you plan your Finnish Lapland Adventure. 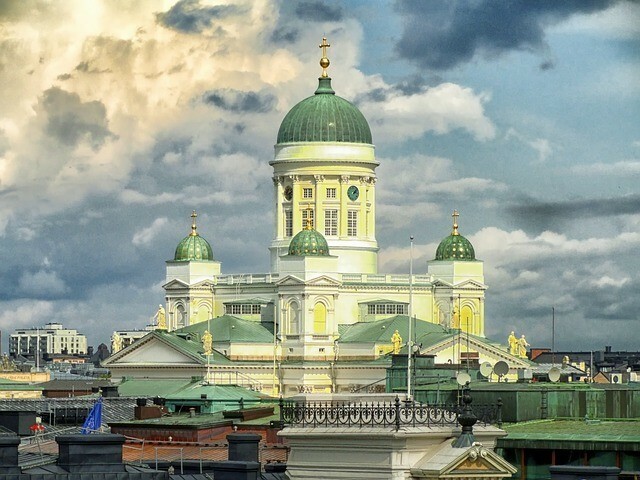 Unless you’re flying from within Europe, you’ll need to fly into Helsinki, Finland’s capital, and connect from there to Lapland. I used my American Airlines miles to fly off-peak to Helsinki on Finnair, an AA OneWorld partner. Finnair partner flights can be booked directly from AA’s website. If you have United miles or Chase Ultimate Rewards Points, check for award availability through United on Star Alliance partner, Scandinavian Air. For paid tickets, check websites like Momondo, Skyscanner and Norwegian Air using some of these simple tips for finding and booking discounted or budget deals. Airline Alliances are your friend! AA miles can be used on their partners, like Finnair. Whether you’re connecting from Helsinki to Lapland by plane or train, it’s worth it to compare price and schedule to see what makes the most sense for your budget and itinerary. 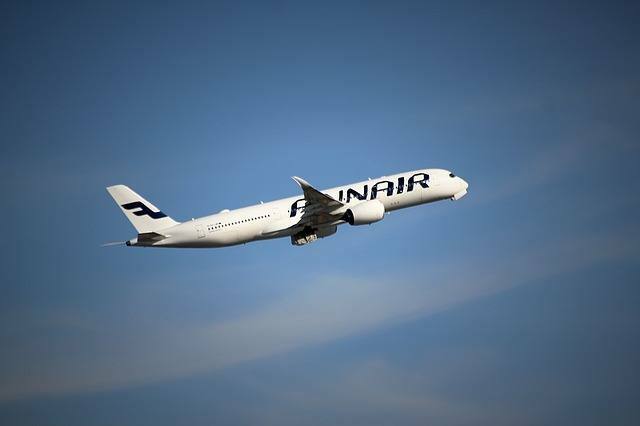 You can connect on short flights to Lapland airports, like Rovaniemi, Ivalo, Kemi, and Kittilä. Expect to pay anywhere between $150-$400 per round trip ticket depending on the time of year you travel. For our travel dates, flights were in the mid-$300s and not exactly the ideal times to match up with our plans our arrival and departure in Helsinki. I also looked into using my British Airways Avios for an award flight. British Airways is also a OneWorld partner and their Avios can be used to book awards on Finnair. While the Avios needed were minimal and in relation to the actual distance flown, the taxes and fees on a one-way ticket were near $200. 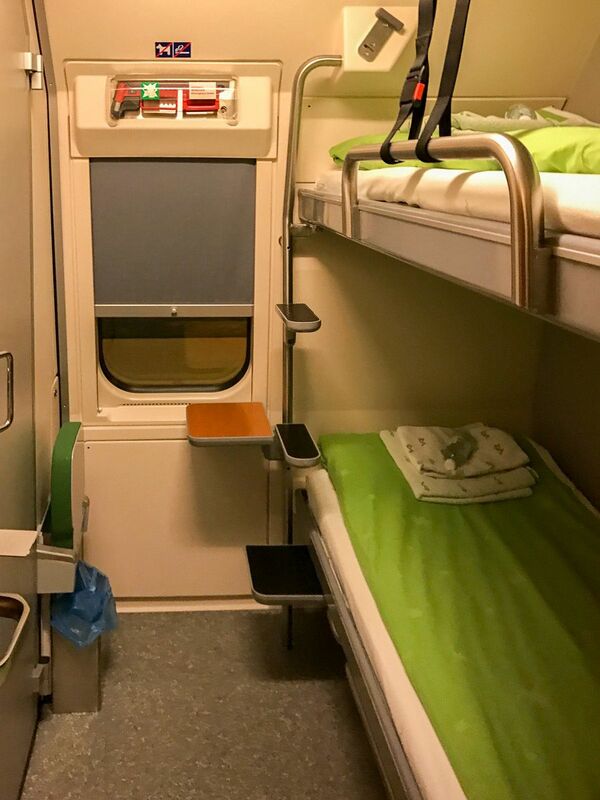 In comparison, I booked the overnight train from Helsinki’s Central Train Station to Rovaniemi in a sleeper compartment for 2 people with a private bathroom and shower for the same as I would have spent in BA taxes and fees. Plus, I saved money by not needing to book accommodations for that night, either. If you have a Chase Sapphire Reserve or a cash back travel rewards credit card, consider using the travel credit or your rewards to pay for your train tickets. We used our $300 CSR travel credit to cover our 2 round trip train tickets. The train left around 7 pm from the Helsinki Central Station and arrived at 7:30 am in Rovaniemi. Train tickets for the overnight compartments must be reserved. Register on the website first and then look for the tickets you’d like to book. Compared to the overnight train from Romania to Budapest, the Finnish train’s sleeping compartment was especially comfortable and clean. The bunks have blankets and pillows and, if you have a shower, towels and some basic toiletries, too. There are caddies within the wall next to each bunk with a plug for charging devices, an alarm clock, and a holder for water, reading glasses, and a phone. The train had good wifi and a decent restaurant car. The bottom bunk is high enough to slide luggage underneath so you have enough room to move around the compartment. If your arrival time is later, leaving little time to visit Helsinki, you may want to stay at the airport longer. There are more comfortable places to sit and eat and the airport offers free wifi. The Central Station has a few cafes but they are smaller and a bit more difficult to manage with bags. Also, there isn’t any free wifi at the train station. Depending on the time you arrive into Helsinki, there may be enough time to explore the city. The Central train station has luggage storage and it’s easy to transfer by train from the Airport. For 5 € per person, take the I or P train. Tickets can be purchased from HSL machines in the arrivals area at the airport or on the train platform. Be sure to validate your ticket on board as you begin the 25-minute ride. Taxis are available at the Rovaniemi Train Station and a car rental kiosk is available inside. The kiosk is shared by several companies and an agent from the company you reserved with will meet you at the exact time you designate. With limited availability and no 24-hour counter staff, you won’t be able to rent a car without a reservation. If you’re late and miss the agent, you’ll need to wait for her/him to return. It’s likely they’re also working at the nearby airport. It’s possible to walk the 1km from the station to the city center in about 10-15 minutes. If need be, the Rovaniemi Train Station also has luggage storage, but the lockers looked just big enough for an average carry-on. 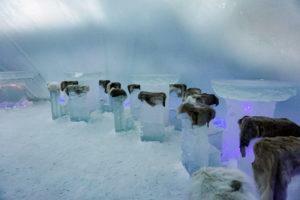 Spend 3-4 days in Rovaniemi. 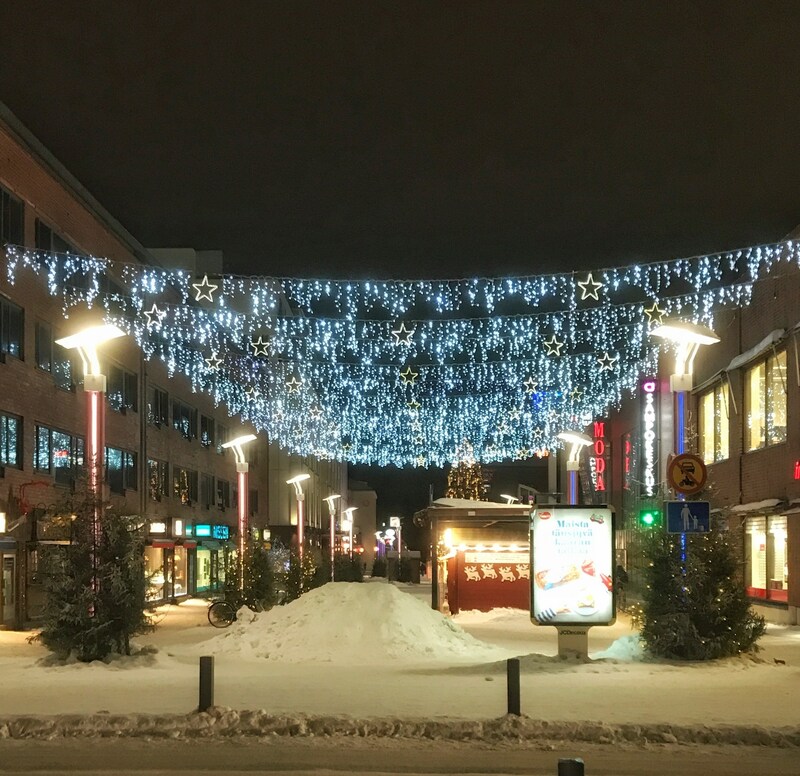 Rovaniemi is a great base to explore the area and take part in a wide variety of winter activities. The city has a range of restaurants, shops, and tour operators. Rovaniemi also has plenty of hotels in the city center, as well as just on the outskirts of town. Airbnb has listings for a variety of sizes and budgets. For an award traveler like me, I was disappointed to learn Rovaniemi has no loyalty program hotels. Your best option to reduce the cost of accommodation is with a cash back rewards credit card or a travel credit like the one offered with the Chase Sapphire Reserve. We stayed at a great studio apartment we booked from Airbnb. It was cozy and had everything we could want, including a kitchen to prepare breakfast. The grocery store and city center were just a couple of blocks away. 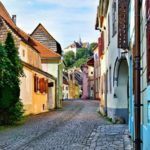 Most tour operators begin tours around 10 a.m. It’s easy to arrive on the morning train with an activity already booked, even more so if you can’t check in early to your hotel or Airbnb. Many tour providers in the city center open around 8:30 a.m and can store your bags in their offices. If you’re planning to stay in Rovaniemi and do day tours and activities, a rental car isn’t needed. The city center is compact and pedestrian-friendly. Taxi stands are also conveniently located. Now, for the fun part! 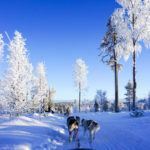 Rovaniemi has plenty of tour companies offering every sort of winter activity from snowmobiling to dog sledding to reindeer sleigh rides and visits to the Ice Hotel. Check TripAdvisor and the Visit Rovaniemi page for listings. Some tour companies are on the Visit Rovaniemi page but not listed on TripAdvisor so it’s best to take some time and do the research. 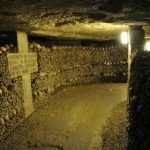 Think about whether you’re ok with big group tours or want something smaller or more personal. Your preference will help steer you to the right tour company. I prefer smaller tours, and even personal tours, so I tried to choose programs based on this and not necessarily by TripAdvisor rank alone. 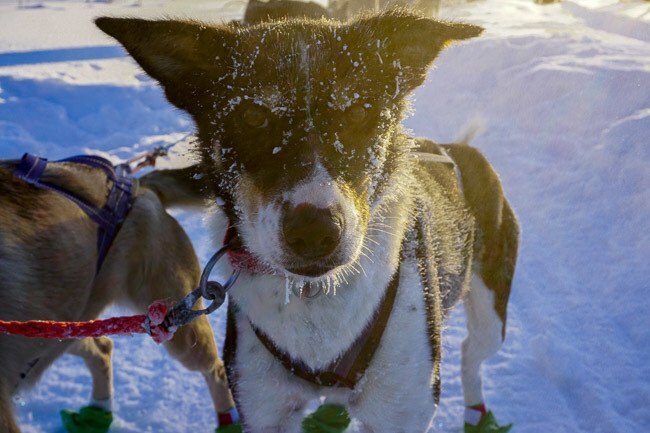 The dog sledding at Bearhill Husky is not to be missed! They love their dogs and it shows in how the dogs love to run. Snowmobile with Safartica out to the Ice Hotel. 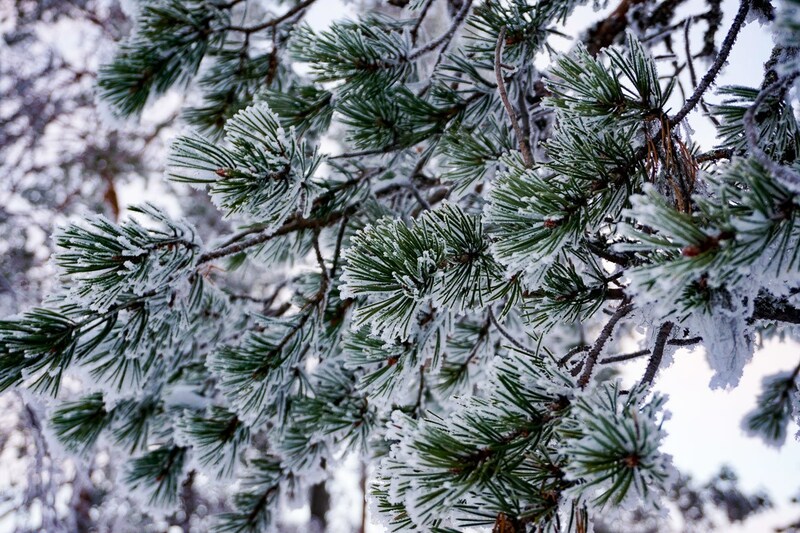 You’ll pass through sparkling evergreen forests and across frozen-solid lakes. 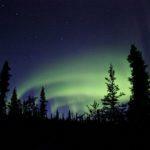 Spend a night with Lapland Welcome on their Northern Lights Tour. Maybe you’ll have just the right dash of luck to see a flash of the auroras. But remember, sometimes you see the northern lights and sometimes you don’t. 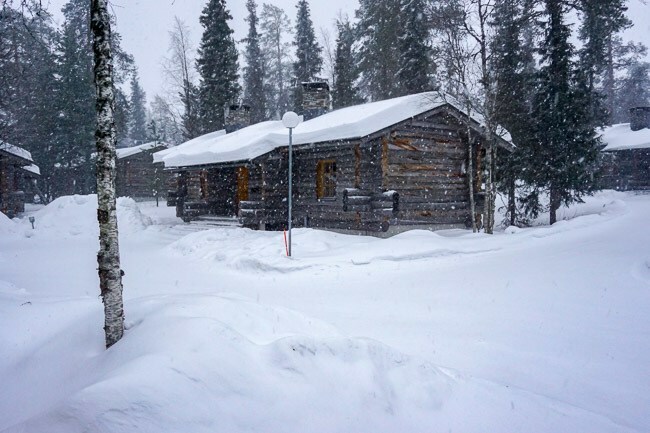 When you’re ready to adventure out beyond the well-worn snowmobile tracks, head out with Arctic Lifestyle to explore the backwoods and enjoy a fireside, true wilderness, lunch. We were having too much fun exploring the wilderness in Finnish Lapland and we weren’t traveling with children. So, we didn’t visit Santa’s Village. There are tours, buses, and taxis go there if you don’t have a rental car. It was a tough pass and there’s no denying the awesome trip, nonetheless. We painstakingly decided against the Ice Breaker ship experience in Kemi. In all honesty, it was just too expensive. During our stay, prices fluctuated between 700-900 Euros per person! You’ll have to decide if the Ice Breaker ship experience is worth it for you, but for us, we knew how many other things we could do on this trip and future trips that would create equally incredible memories. If you do the Ice Breaker ship, you can stop in Kemi for a day or even the night on the way up from Helsinki on the train. You could also fly directly into Kemi on a short flight from Helsinki. Or, simply take a day trip to Kemi from Rovaniemi either by train or with a tour operator. Spend 2-3 days in the wilderness. 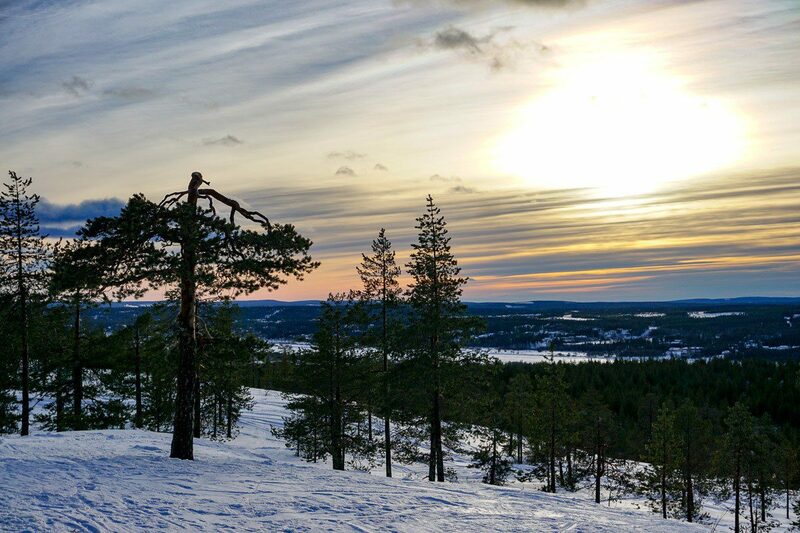 Finnish Lapland’s spectacular wilderness surrounds the small city of Rovaniemi. Even with only a week, leave time to experience life outside the city. Choose a place within a reasonable distance so as not to waste too much time in transit. Levi and Saariskella are popular Finnish Lapland spots but they are a bit further away by bus or car. We has a limited amount of time. So, instead, we spent 2 nights in Luosto, just an hour by car from Rovaniemi and surrounded by Pyhä Luosto National Park. Buses operate between Rovaniemi and Luosto. You can also rent a car from the train station. We chose to have a car just for these couple of days to give us more flexibility, particularly at the end of our trip. It was an easy drive along 1 major road to Luosto. 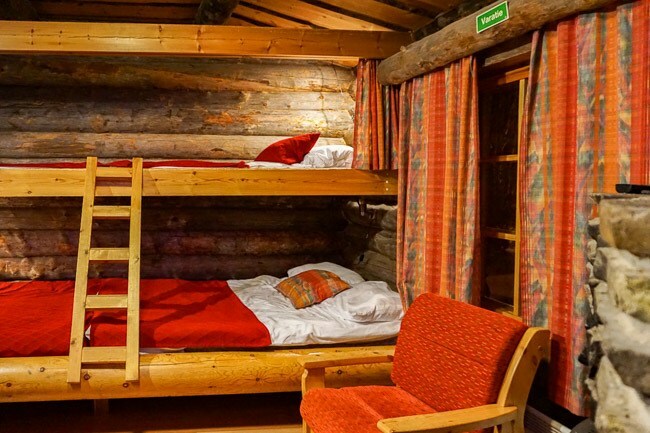 We stayed in the Lapland Hotel Luostotunturi log cabins, complete with their own fireplace, family-style bunk bed, and sauna. From this location, we had access to snowshoeing trails, downhill and cross-country skiing, ice skating, reindeer farms, and organized snowmobiling tours. The log cabin was cozy and pin-drop silent with only the wind and the trees to disturb the peace. The cabin had a small kitchenette with a microwave, hot plate, mini-fridge, coffee maker, and sink. Basic kitchenwares were also provided. To save money, we bought some food from the supermarket in Rovaniemi, but we also enjoyed a meal at the hotel’s main restaurant. Spend an afternoon and/or an evening snowshoeing in the stunning National Park with a guide from Kairankutsu-Call of the Wilderness. Later on, feed the reindeer at Kopara farm. 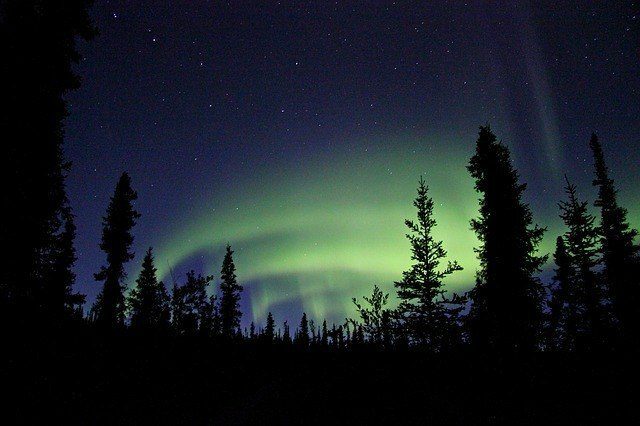 Get outside on a clear night and watch the sky for the northern lights. 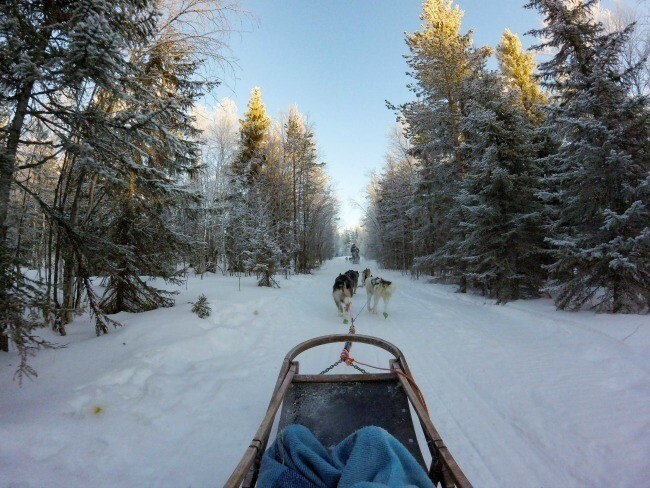 Enjoy the change of pace from the go-go-go of the daily tour activities back in Rovaniemi. 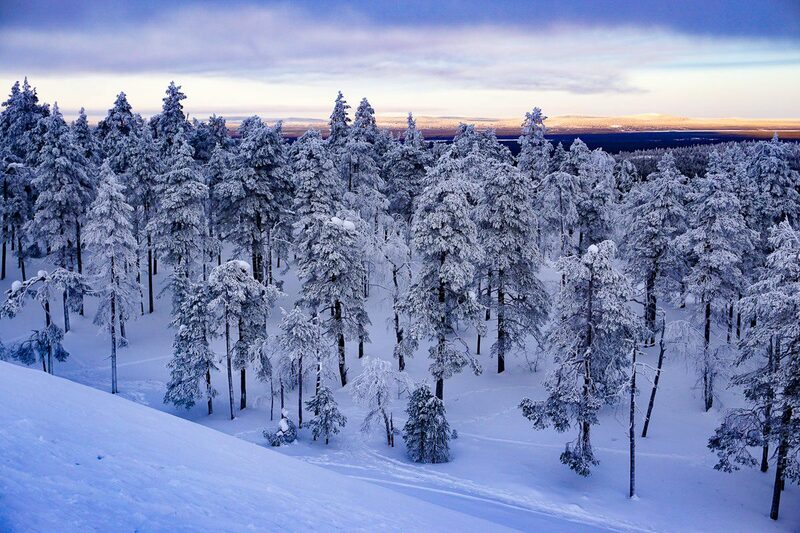 Relax and decompress surrounded by a winter wonderland wilderness. 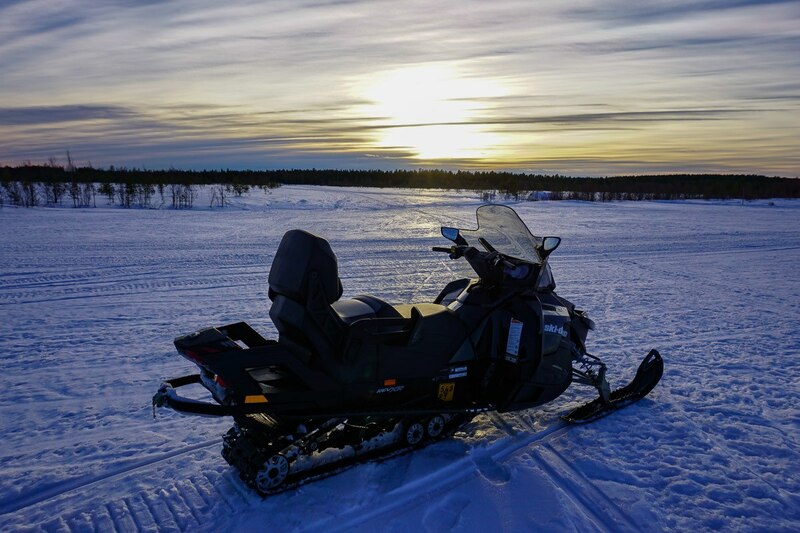 On that 3rd morning in Luosto, we decided to spend our last day in Finland doing some more snowmobiling back in Rovaniemi. We booked a backcountry tour (mentioned above) that fit how we wanted our trip to end. 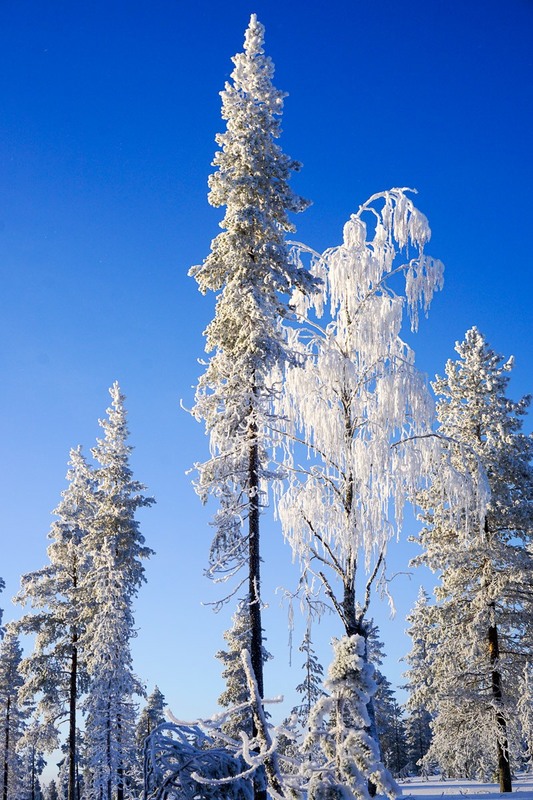 Because Luosto is so close to Rovaniemi, you could easily plan the day in Luosto, as well. 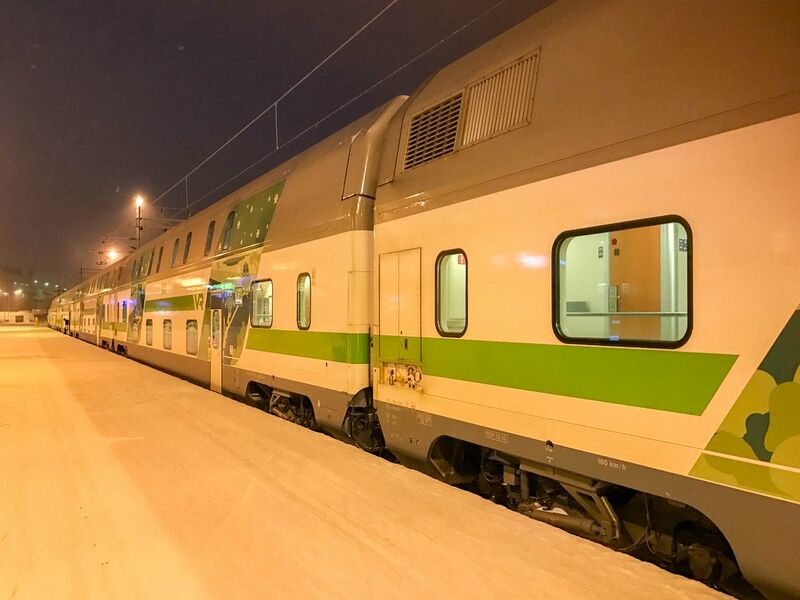 We boarded the overnight train in Rovaniemi when the day was finished and connected directly back to the airport in Helsinki for our flight home. 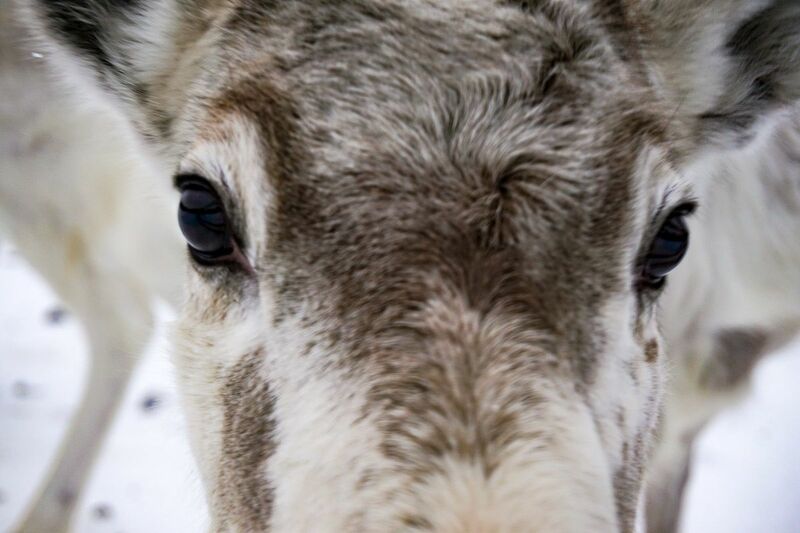 Are you planning a trip to Finnish Lapland? Have you been already? What tip can you offer a first-timer? Save this post for later to your Pinterest travel board. I’ve been seeing so much about this area lately, especially since it was just featured on The Bachelor. I finally made it to Finland a year ago for the first time but only saw Helsinki, so would love to go back and explore more of the country like Lapland! Was it on the Bachelor, Tamara? I confess I watch almost no TV so I’m out of the loop on that! 😉 Lapland is spectacular. Definitely head north next time you’re in Finland. 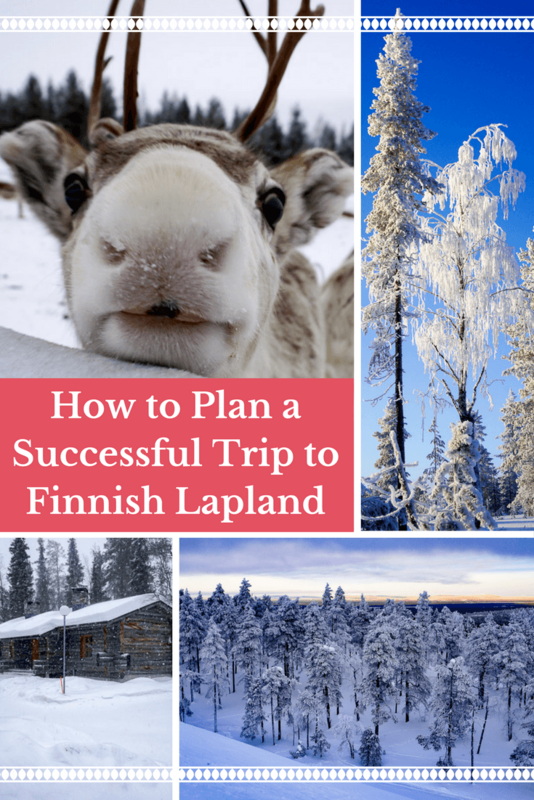 I’m not planning a trip to Lapland right now but these are great tips! It is definitely on my list of places to visit, for sure. Such a gorgeous place for outdoor adventures and nature. Traveling by train is amazing and the journey length of the one you took is perfect. Really useful to find out more about it. 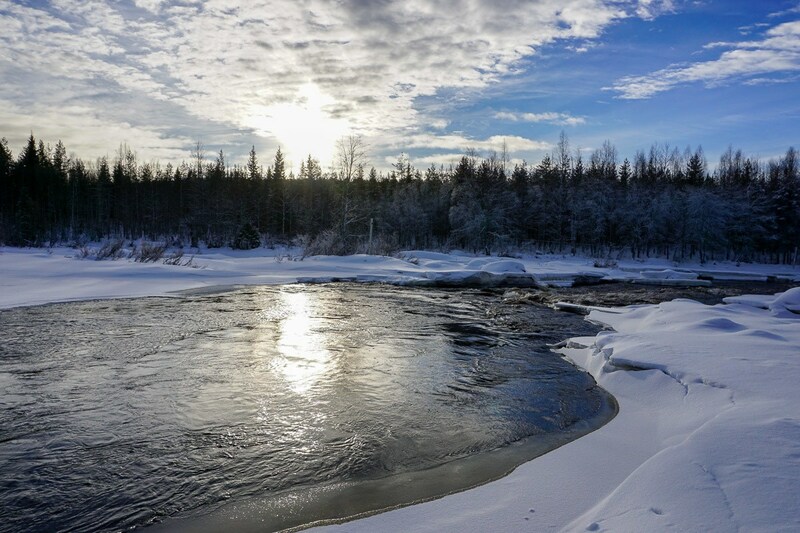 Wow you really had a fantastic adventure and it looks amazing from where I’m at, thank god I’m not a cold lover because it would be very hard for me to go to icy places like Lapland – it looks amazing though! What a fun place to visit. My son would be ecstatic to go to Lapland, winter is his favorite season and he would love to try the dog sledding and reindeer sleigh rides and of course Santa’s Village. The Northern Lights Tour would be something I would like to do. Just the chance to take photos of the northern lights would be fantastic. It is an incredible destination, Rob! I hope you can make it northward with your son! I’d definitely be using that sleeper train service – I love travelling by train, so much more romantic. Rovaniemi looks like a great place to base yourself for so many experiences. What am amazing trip! The pictures look so beautiful. Thank you for mapping it all out for the rest of us, planning is so time consuming. 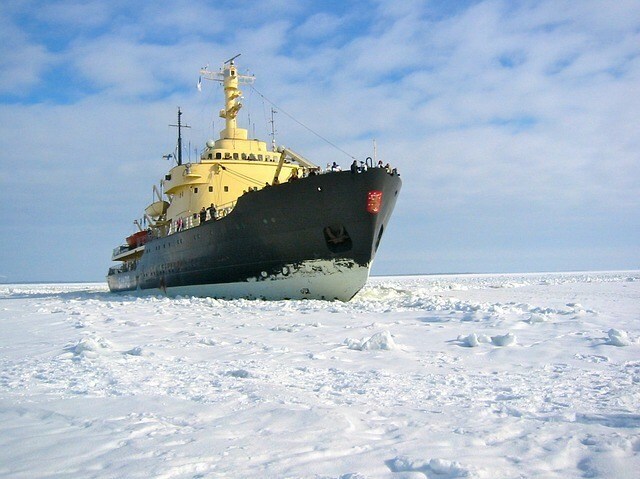 I bet it was hard to pass on the Ice Breaker ship! Although I am not a fan of the cold or snow for that matter this looks pretty awesome. 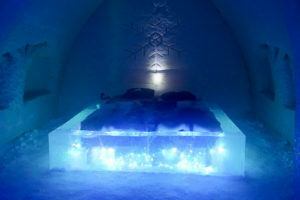 I would love to stay in the ice hotel and see the northern lights. It’s a bucket list trip for sure, Holly. Thank you for all these tips. I do keep trying for cheap tickets but haven’t got any till date. Will look up the suggestions you have given. The white blanketed scenes are gorgeous! Keep looking, Indrani! Finnish Lapland is amazing. 🙂 Thanks so much for reading. Wow, this really does look like such an incredible experience! Everything covered in snow looks so magical. I’ve never been on a snowmobile, so that really piqued my interest. I’d love to try it one day. And thanks for the train information. 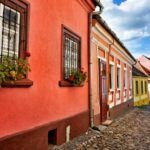 I always forget that sometimes traveling overnight can save you money on flights and accommodation! We loved Finnish Lapland, Vicky. And, the train really worked out to be such a smart decision. Thank you so much for this post! This was just what I needed. Want to visit Finland next winter for about a week, and just didn’t know where to begin. This is absolutely perfect as a starting point for my own research.! Awesome, Maria! Glad the post will be a help. Have a fantastic time in Finland. You’ll still need Arctic gear once you’re up there, which the tour companies provide. This includes boots. So on the coldest days I had my entire ski outfit on including jacket and then I’d wear the boots and Arctic overalls they gave me. Make sure to go with real high-performance base layers. They’ll be warm but not too thick. Enjoy Lapland! It’s magical. Thank you so much for posting this! We are working on planning a trip here very soon and I have been having the hardest time finding info that works! So I really appreciate your itinerary. What month were you there? How was the cold? We’ve seen some hotels that offer warmer clothes to use while you are there…we aren’t very well equipped for THAT kind of cold! Jackie hi! ))Thanks for the precious info! Me and my husband decided to spend our two-week honeymoon in Lapland. in February. And we even got our plane tickets and reservation in Rovaniemi. then we’ll travel to Lapland by train as you did! Thanks so much for reading, Julie. Congrats on getting married and your honeymoon. Rovaniemi was not at all crowded in February. Of course, there will be visitors on holiday, but it is much less so than in the busier month of December. Ice diving sounds amazing and a great alternative to the icebreaker ship. I hope you have a fantastic time! 1. Is the train warm enough to travel overnight in December? 2. how many nights do you think if we would like to visit the santa village, snowmobiling or riding a husky and northern lights tour? We will be there during xmas. Thanks for reading, Juha, and for the tips! I’d love to get back to Finnish Lapland and explore more. Me and my sisters are planning a trip to Finland June 7-18. We are trying to decide for sure how many days in Rovaniemi during this time of year. Do you still think 3-4? It is a very informative article. The warm clothes that you mentioned, did they come at an extra charge from the activity providers? Between December and February, which would be a better time to go in terms of weather and cost?